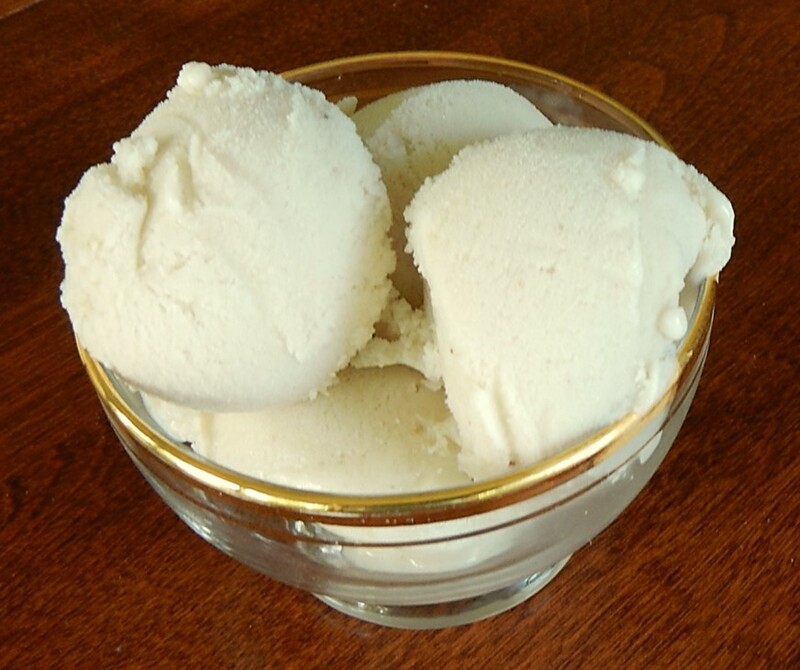 Looking for a tasty and easy-to-make ice cream for your 4th of July bash? Banana Sour Ice Cream fits the bill. I found this delightful recipe in a hundred-year-old issue of Good Housekeeping magazine. Banana Sour Ice Cream is refreshingly tart, and almost reminds me of a sherbet. The recipe calls for both bananas and lemon juice, and the ice cream contains the nuanced flavors of both fruits. It also contains sour cream which enhances the tartness. Put sugar and lemon juice in a mixing bowl; stir until the sugar is dissolved. Stir in sour cream. Set aside. Posted on July 1, 2018 June 30, 2018 by SherylPosted in FoodTagged banana, ice cream, recipe. I sometimes use a lemon glaze on banana bread, so this combination makes perfect sense to me — and sounds refreshing as can be. mmm. . . Your banana bread with lemon glaze recipe sounds wonderful. I said “YUM” out loud when I read the title of this post! I had the same reaction when I first saw this recipe. Even its name sounds yummy. Sounds delicious. I wonder what the texture would have been like without an icecream maker. Amazingly, they actually had hand-cranked ice cream makers back then. Several years ago I did a post that included a hundred-year-old advertisement for a White Mountain Ice Cream Freezer. Ah! I wish we had had one when I was young. Our homemade ice cream almost put me off ice cream for life. This looks so tasty! Love the use of sour cream here. What stage were the bananas you’ve used? I used very ripe bananas. They are easier to mash/puree until smooth. Fascinating idea for a recipe. I look forward to trying it. I think that you’ll enjoy this recipe. It’s tasty. Husband would love this! May have to try it. I think that you’d be pleased with this recipe. It is both simple to make and tasty. Yummy! Those oldsters had some excellent ideas! I agree! There are some wonderful hundred-year-old recipes. I know this recipe is a winner… your ice cream is beautifully done! Thank you! It’s wonderful to hear that you liked the presentation. I wonder how it would work with vegan sour cream. I’m going to give it a try. Thanks! hmmm. . . I don’t know. If you make this recipe with vegan sour cream, you’ll have to let us know how it turns out. I’m sure that there are other readers who would be interested in making this recipe using vegan sour cream. Sounds perfect! Especially for hot humid weather like ours right now. It’s the perfect ice cream for hot summer days. I’ll bet this tastes wonderful. I used to love making banana milkshakes and this looks even better!